The Grand Opening of Shanghai Disney Resort is just weeks away, and excitement is building throughout China. 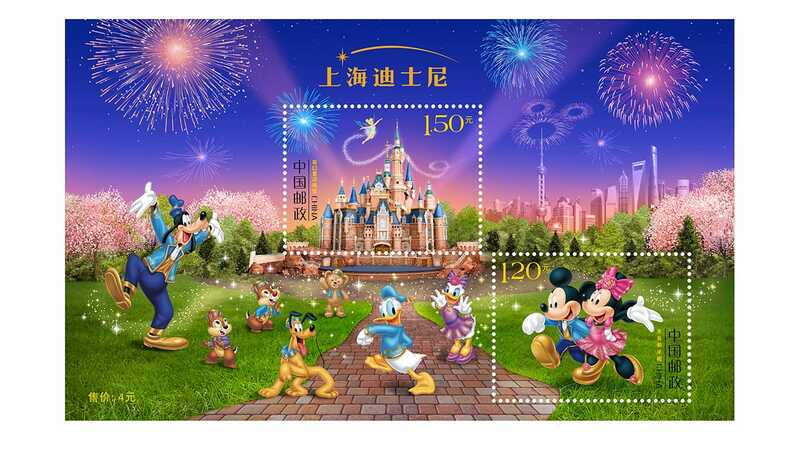 This week, China Stamp Group unveiled two official Shanghai Disney Resort stamps which they will issue on June 16 – the same day Shanghai Disney Resort welcomes the general public for the first time! The “Mickey and Minnie” stamp shows Mickey Mouse and Minnie Mouse strolling in their official Shanghai Disney Resort attire. The “Enchanted Storybook Castle” stamp shows the grandeur of the world’s largest and most interactive Disney castle, with Tinker Bell soaring overhead and fireworks lighting the night sky above. Stay tuned to the Disney Parks Blog throughout the coming weeks for more on the Grand Opening celebration of Shanghai Disney Resort! How can one purchase the stamps here in the states? Ok must get when I arrive on the 15th. Count down is in progress!! !